Have you been thinking about investing in real estate lately? Are you not decided on a city yet? 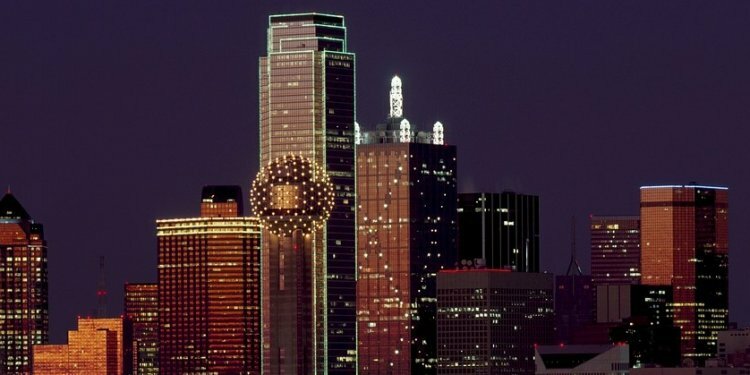 Why not consider an investment in the Dallas real estate market then? Here we will look at some of the most prominent features of the Dallas real estate market, whether you should invest in it or not at the moment, and what the opportunities for traditional and Airbnb renting are. Before you decide to invest in any real estate market at any point in time, you should ask yourself whether this market is a buyer’s or a seller’s one. Well, currently the Dallas real estate market is a seller’s market. This is exactly what is happening in the Dallas real estate market at the moment – overwhelming demand unmatched by low supply. About 1, 200 persons move to Texas every day, and half of them – to the Dallas-Fort Worth complex. In June this year, 2, 500 new listings in the Dallas Metroplex showed up over the course of seven days, while 2, 300 listings were sold. Any home offered for up to $2, 000, 000 is sold almost immediately. This is despite the fact that prices have been on the rise in recent years. Trulia has recently reported a 3% rise week over week in home listing prices in the Dallas real estate market. The website offers about 2, 900 listings in Dallas with an average price of $750, 000. According to other sources, the sales of condos and townhouses in the Dallas area increased by 3.8% and 8.2%, respectively, in the first five months of 2016 compared to the first five months of 2015. In January-May 2016, a total of 1, 541 condos (an average of 308 condos per month) and 1, 019 townhomes (an average of 204 townhomes per month) were sold in the Dallas real estate market. Meanwhile, the median sales prices for condos and townhouses went up by 10.3% and 7.8% over the same period. In May 2016 the median price of a condo was $164, 000, while the average price of a townhouse was $260, 000. There is a shortage of inventory for condos and townhouses in the real estate market of Dallas.